Devoted Quilter: Wedding Quilt - Finished!! Congratulations! I looks great and I really like your choice of binding. 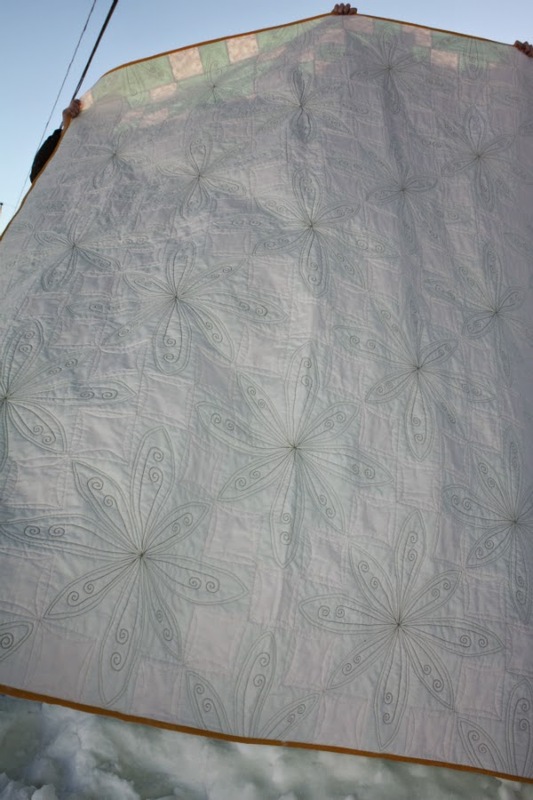 The view of the quilting from the back shows it off nicely, but I am pretty sure I can see it from the front in the first photo, too! What a great big beautiful finish! Love those fmq'd flowers. And the yellow binding was the perfect choice to frame this gorgeous quilt. The bride and groom are sure to love it! The quilting is amazing! I'm sure the happy couple will adore it! 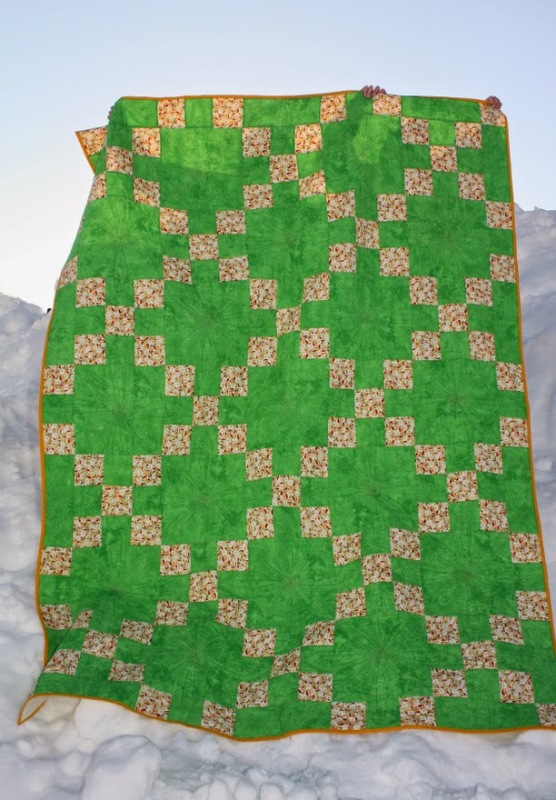 The quilting makes this quilt perfect! Beautiful. What a stunning quilt! The yellow binding just pops, beautiful quilting too!! I think the flowers look beautiful!! I'm sure they will love it! Wow, that is a huge snow pile. Little snow, but very cold temps where I live. It looks incredible! They are sure to love it. And yes, your quilt holders are very handsome. Lovely quilt and your quilted flowers are amazing. It may look wonky to you, but nobody's looking. 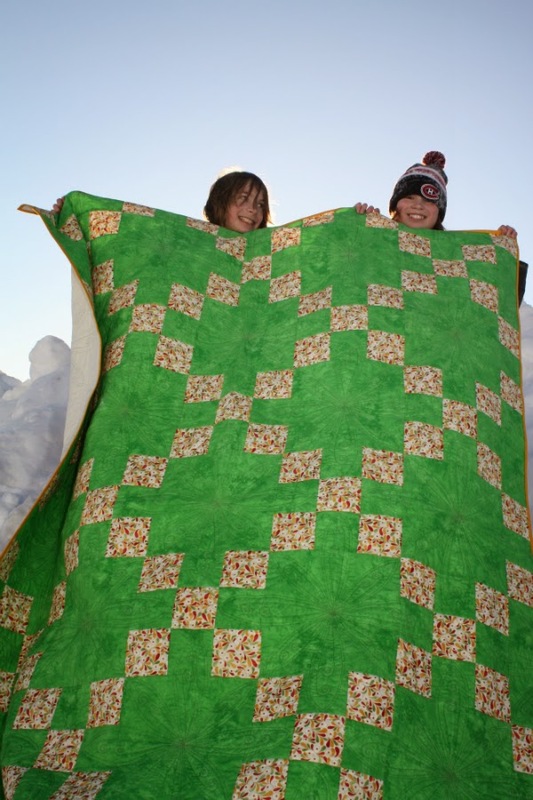 Leanne, the quilting is just amazing. I had to smile when I saw your pictures. I have so many with my kids holding them. I can't wait for my oldest to get a little taller!! 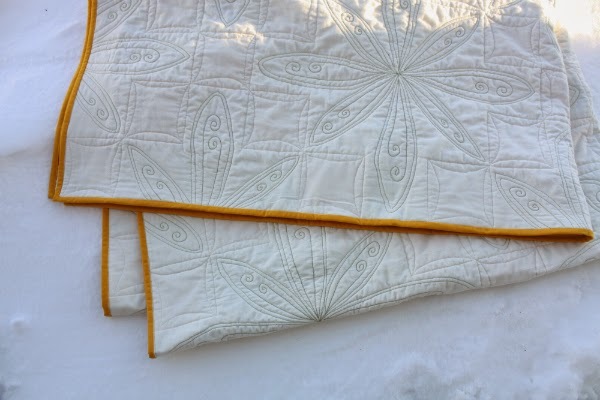 Your quilting is what really puts the finishing touch on this quilt. Congratulations to you and to the bride and groom! Congrats on a wonderful finish and the lucky couple. I love the FMQd flowers. 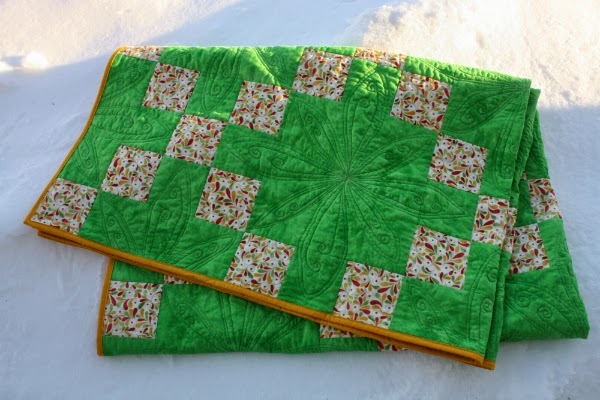 Irish Chain quilts make lovely wedding gifts. Thanks for linking up to this week's TGIFF. 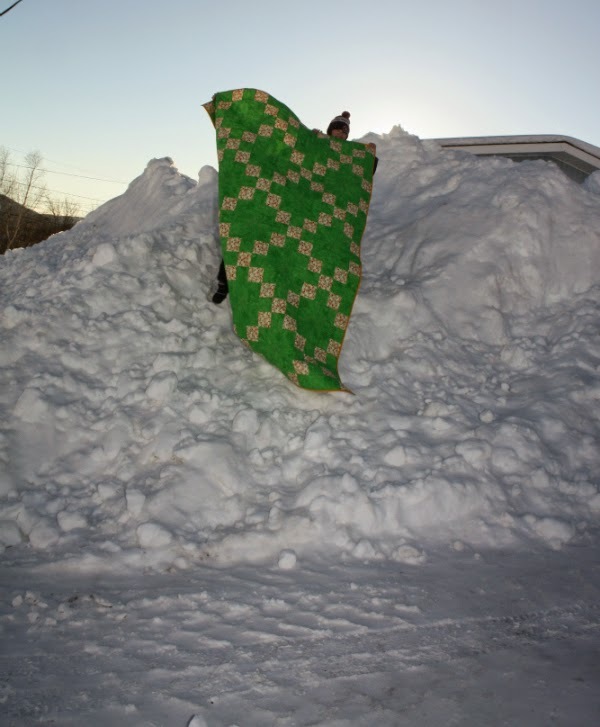 It's a lovely quilt and your quilting is wonderful!